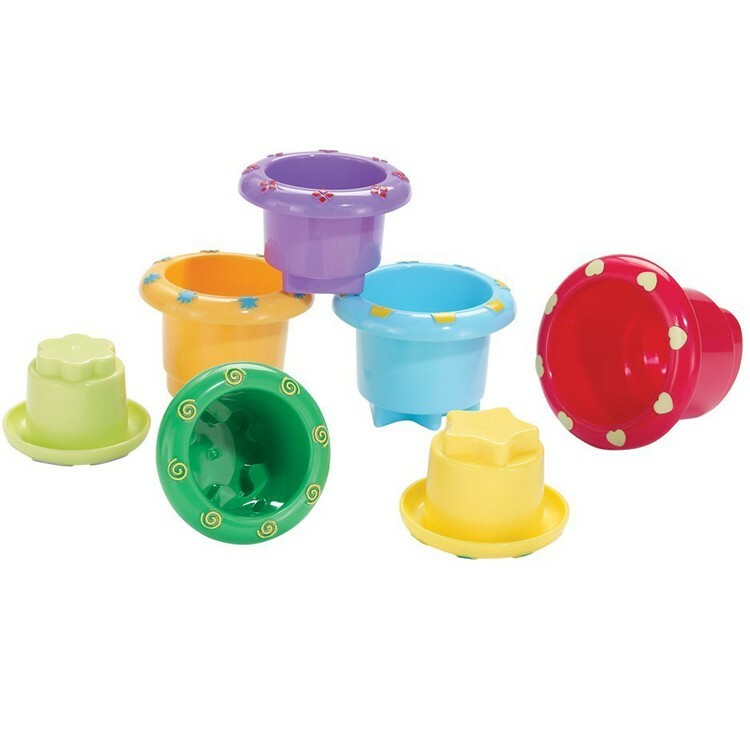 With 7 colorful nesting cups from the toddler stacking game your child will learn which sizes and shapes fit where! 1 cup, 2 cup, red cup, blue cup! 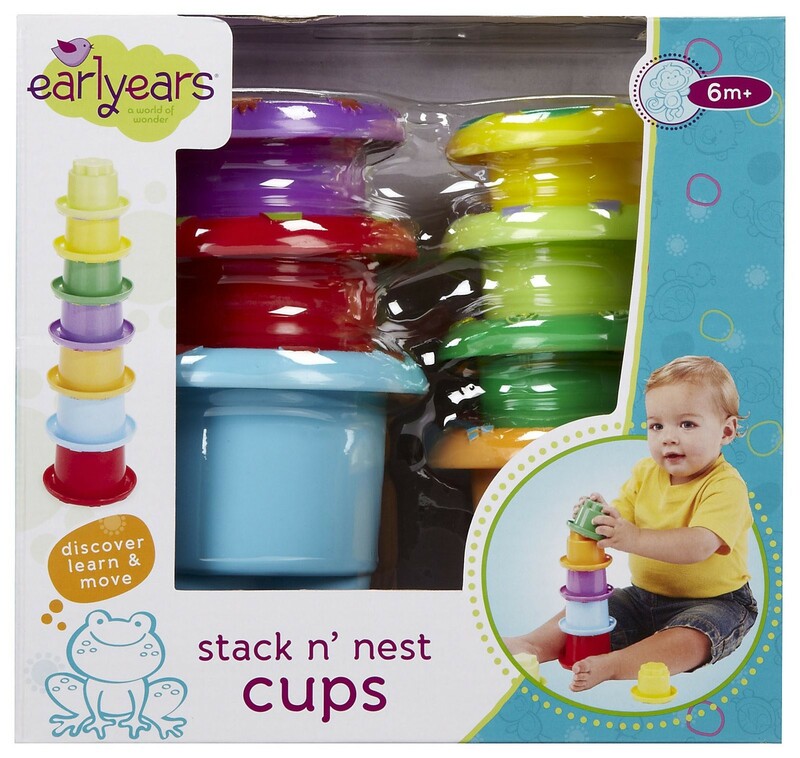 Stack n Nest Cups Baby Stacking Toy by Earlyears is a great way for your little one to develop their hand/eye coordination skills. 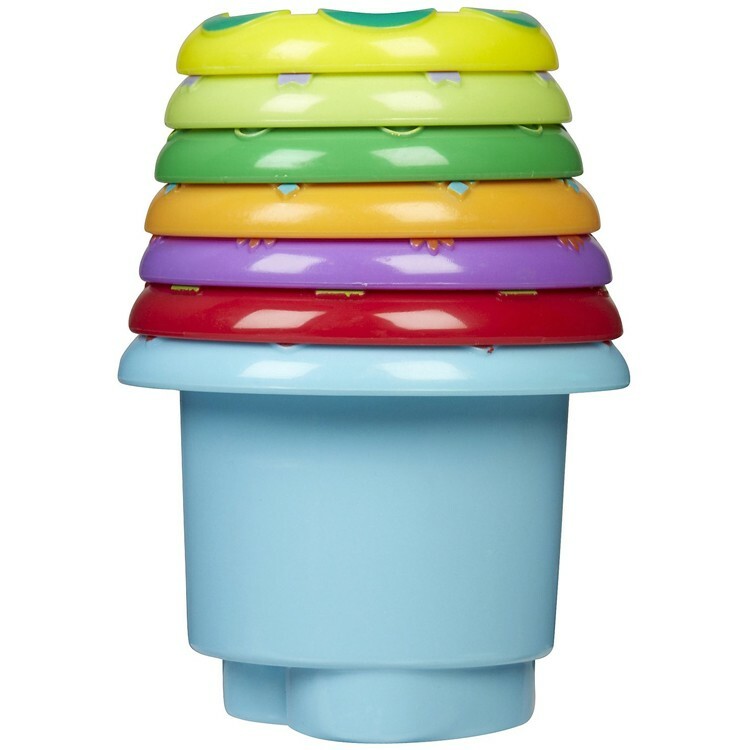 With 7 colorful nesting cups from this toddler stacking game your child will learn which sizes and shapes fit where! 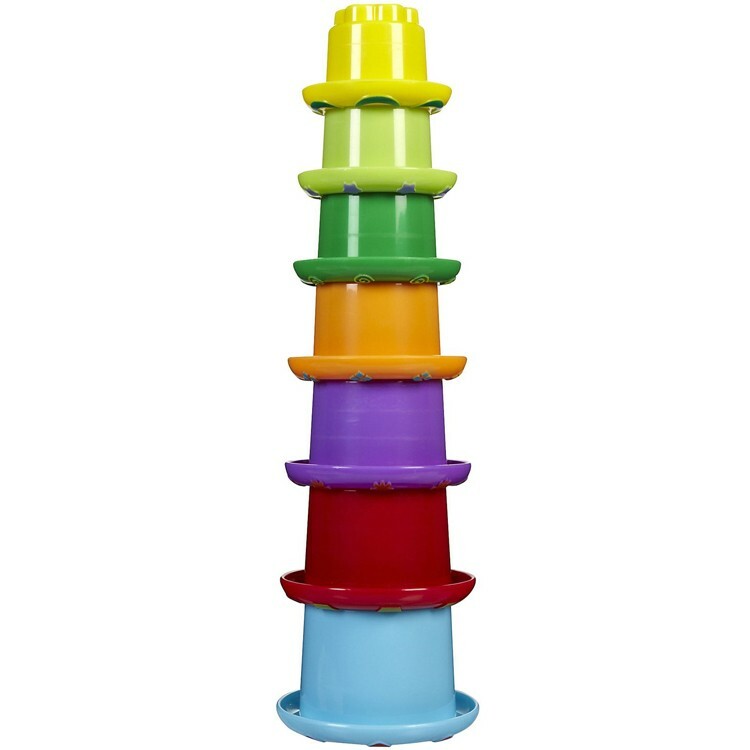 Make a tower over a foot tall using Stack n Nest Cups Baby Stacking Toy! Each stacking cup has a raised rim, with a fun pattern on it, and a different shape inside the bottom. With this building and stacking set, if the cup is the wrong size you can just pick up a different one and try again. 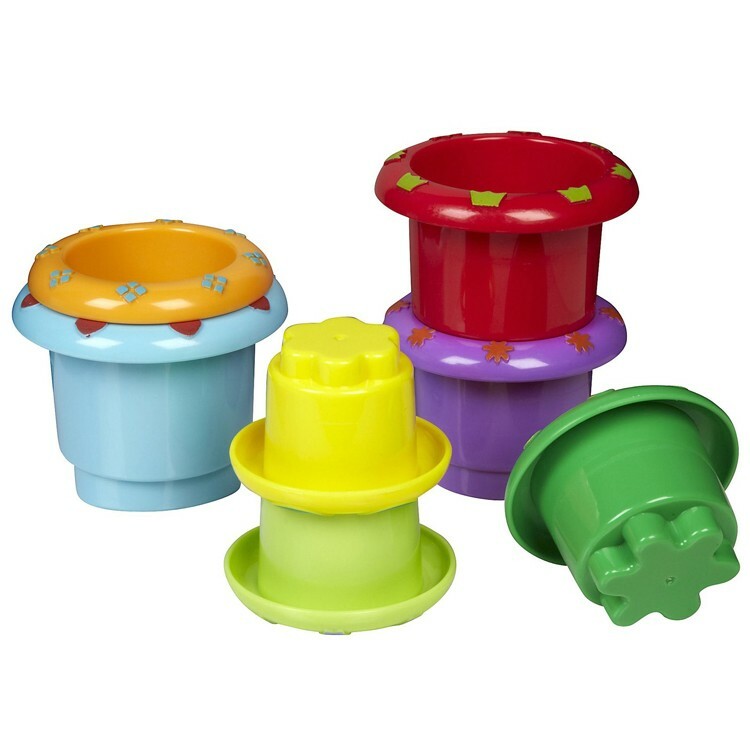 From Educational Toys Planet, Stack n Nest Cups Baby Stacking Toy will help your child build valuable motor and problem solving skills! 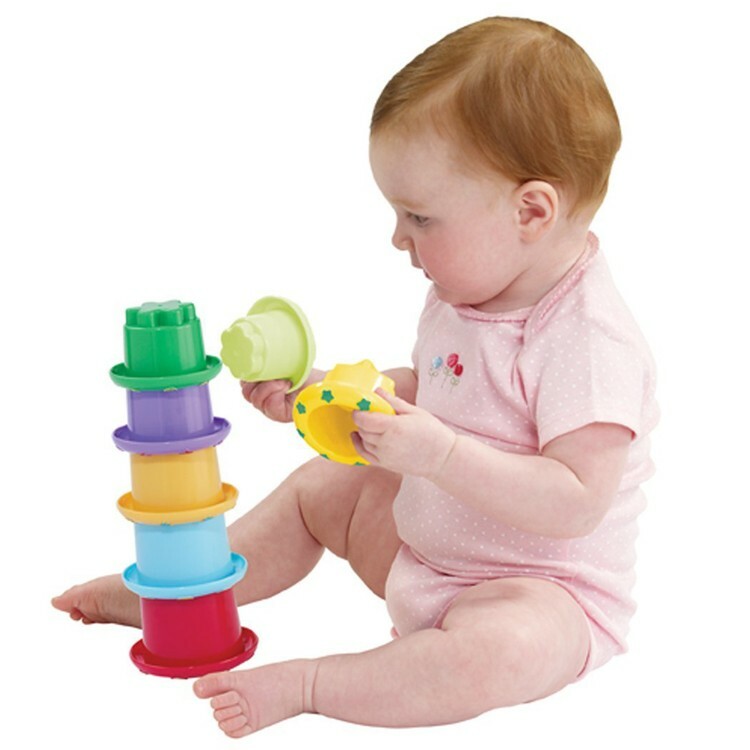 Dimensions of package 7.25" x 7.63" x 4.13"
Write your own review of Stack n Nest Cups Baby Stacking Toy. Rating: 5 by Emily, MO The little guys love this one! !